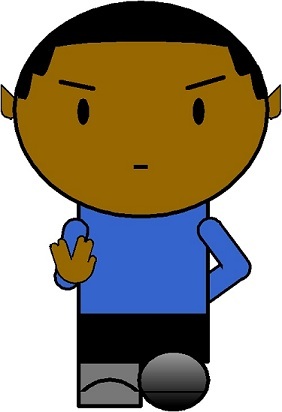 Black Trekkie | Why? Because of Lt. Tuvok's Hairline. No, Seriously. If you’re reading this blog, you have been waiting for Luke Cage to be released with baited breath. I’ve been checking my Netflix repeatedly to see if it would be released a little early. How greedy am I? In all seriousness, we need to give Netflix kudos for making a show that was so black. Black with a capital B! The director, the female lead, Pop’s barbershop, Biggie with the crown, the soundtrack, Heather B., Ali Shaheed Muhammad, Wu Tang, and the gatdamn Delfonics. So indulgently black and so needed right now. Harlem is in the midst of gentrification and a Councilwoman named Mariah is doing her best to make sure the city remains black and brown. It sounds admirable, but we quickly learn that it is tainted by ambition and drug/gang politics. Her cousin, Cottonmouth, is the local kingpin who is under increasing pressure to defend and expand his territory. Luke Cage ends up in the middle of this when Pop’s Barbershop is attacked and Pop is killed. Pop was the closest thing that Luke had to a father and brought the ruckus to bring down Cottonmouth and Mariah’s criminal enterprise. There is a huge shift in the story about halfway through that allows us much more insight into Luke’s backstory. I won’t ruin it for you. The series did so many things right: the setting, the pacing, the soundtrack, the sarcasm, and the reverence for the comics were like a slow burn. I think the standout feature is the acting. Mike Colter, Simone Missick, Alfre Woodard, Mahershala Ali, Erik Harvey, and all The Wire actors who turned up put in tour de force performances. All the actors seemed to revel in the opportunity to flesh out their roles. Something about it feels different. I’m not sure we’ve seen black characters like this before. Even Turk wasn’t a caricature. You won’t forget any of these characters. Honorable mention to Misty Knight’s naturally bountiful bosom and Luke’s hoodie, which deserve their own conversations. And, shout out to Night Nurse! Can we get her her own show? Every time I see her character, the more I like her. Rosario Dawson did that! #nightnursesolit needs to start trending now! I will acknowledge that there were weaknesses. Shades. When he first took his shades off the first time, I thought we were about to give way to the supernatural in the show. Does looking someone in the eye give him the ability to know whether someone is telling the truth? Why does he wear them all the time, even at night? The seeming answer was such a letdown. No, he just likes wearing shades. The uneven treatment of his role was awkward and frustrating. He’s intended to be a ‘chaotic neutral’, but instead he’s just chaotic. I don’t know if it was tha the acting was wooden or that the writers didn’t know what to do with his character, but it just didn’t work. Make a decision! And, we’re not even going to discuss that kiss. I screamed out loud a little. Diamondback was confusing as well. Erik LaRay Harvey did a great job with the material he was given. My complaint was about the material he was given. Diamondback is a lunatic hellbent on destroying Luke Cage, but he’s also a criminal mastermind. What comes across is a petulant man child with daddy issues and misplaced aggression. Is that really a villain worthy of Luke Cage? I don’t think so. It was kinda corny. Here’s hoping that this season was just an introduction and they have much grander plans for Diamondback. There were a few MCU continuity issues that I noticed. Alfre Woodard already played a different character in Iron Man 3. A reference was made to President Obama when he is not the president in the Marvel universe. I’m sure there were a few others that I missed. The story is also a bit detached from the rest of the MCU. Not sure if I should consider that a plus or minus. There is mention of The Incident, the Hulk, Iron Man, Thor, Justin Hammer, and Jessica Jones, but seemingly less so than other shows. We’ll see how this continues to unfold in Season 2. All in all, a great show that is soul satisfying. Thank you to everyone involved for giving it to us. P.S. If you’re like me and have a whole lot of questions about a certain character, click here. Great writeup by Zakiya Jamal. I confess that I’m a big Will Smith fan. Even after all of the misunderstood comments, side-eye at his kids’ creative commentary on reality, and the questionable choice to star in Focus. I still love Will; can’t help myself. So, of course, I went to see Suicide Squad on the opening weekend. Didn’t hurt that I received free tickets (hype!). So, let’s get into it. The early reviews for the movie were bad. Well, bad is actually kind of an understatement. At the time of writing, Rotten Tomatoes has the movie at 28% Rotten. Not sure I’ve ever seen a rating so low for a big movie. The reviews were so bad that my mind went into C-O-N-spiracy theory (word to Damon Wayans). Was the Man trying to hold DC Movies down? After the bad reviews for Batman vs. Superman, is Disney/Marvel trying to stomp down any challengers to its superhero movie dominance? It couldn’t possibly be that bad, could it? As much as it pains me to write this, the movie was bad. I tried. I tried to keep an open mind. I tried to see it as what I think it was supposed to be: a setup for future movies. But, as the movie continued, the more I found myself thinking this sh*t can’t be happening. The plot of the movie, in a nutshell, is a bunch of society’s misfits with either given or honed special powers assemble to fight a supernatural power that all of our mortal weapons are woefully inadequate to destroy. There are guns, lots of fights, CGI, a love story, all the good stuff you’ve come to expect out of a superhero flick. Margot Robbie as Harley Quinn. No jokes here, she did a great job. Adewale Akinnuoye-Agbaje as Killer Croc. Sigh. Got it? Good. There will be a quiz later. That’s a lot of characters to set up in one movie, right? I agree. That’s the main problem with the movie; it’s all over the place for no good reason. Each character gets between 3-5 minutes of backstory, save Slipknot who gets 10 seconds. In fact, maybe less, he is summed up in “He can climb anything.” Then, he dies. Bye Slipknot. Native Americans may be salty as sh*t at this. Frequently a black person is the first to die in a movie, but even we get more screen time than that. Deadshot has a kid who doesn’t want him to be a mercenary anymore. Diablo has the most juice of any of them, but he’s sworn off killing in an attempt to quell his demons. Dr. Moon gets possessed by Enchantress. Amanda Waller is a sociopath in a pantsuit. Katana is emo-crazy with a sharp sword. Killer Croc is… well, we’ll come back to that. Harley Quinn gets the most backstory to setup the quixotic obsession that she and Joker have with each other. Speaking of which, why is the Joker even in this movie??? Jared Leto, reportedly, stayed in character the entire shoot by playing pranks and doing some downright disgusting things to his co-stars (i.e. sending them used condoms). Was he hoping to win an Oscar with this role? He either needed to be in the movie or not at all. After some thought, I think not at all. He should have his own movie focused on Joker and Harley Quinn, because the snippets of their relationship development made no sense in the movie. What kind of magic stick/mind f*ckery did he do to turn Harley Quinn out like that? Please get him on Oprah because inquiring minds want to know. The problems with the movie mainly come down to pacing and tone. It’s serious one moment and lighthearted the next. One minute, the team is a bunch of strangers; 15 minutes and some drinks later, they are talking about how they are family and friends. These are bad guys, the baddest. Does game recognize game? If so, how do you build trust like that with folks you don’t know? Do you have to test their loyalty first? The was a sharp sigh in my theatre when Diablo started talking about messing with his “family”. Speaking of Diablo, he was the only character whose story offered any emotional range. He was the only one I came to care about during the entire movie. His gift caused him to harm the people he loved the most. Well, him, and Deadshot’s daughter. Batman pops up to try to wrangle Deadshot and her little tail stepped in front of Deadshot’s gun. I know that they were trying to Pursuit of Happyness Will Smith’s character, but bye. First off, it’s Deadshot; he still could’ve hit Batman without her moving because HE’S DEADSHOT! Second, I know Daddy had a talk with his little girl about not interfering in grown folks bizness! But, whatever. If I had pulled that, my dad would have turned into a 10 foot tall monster like Enchantress’ brother. Trust. Deadshot did have the funniest moment in the movie when he was making demands, one of which was to ensure his daughter went to an Ivy League school and, if she couldn’t cut it, to “White people that thing. Y’all know how y’all do”. In-joke about meritocracy. There was some polite tittering at that line in my theatre with a few full belly laughs. The kind of laugh that says, “Pause the movie, you heard that sh*t, right.” I don’t know who they came from; it was dark. That could have been the end of the movie and I would have felt satisfied. But, there was more. Cara Delevigne’s Dr. Moon/Enchantress was the main antagonist in the movie. Dr. Moon was possessed by Enchantress after having found an idol containing her spirit in a cave. Dr. Moon was sweet and yielding and fell in love with Rick Flag, but her other side was the complete opposite. Enchantress got free and all hell broke loose, literally and figuratively. Now, here’s where it got hinkey for me. Why were the plots of X-Men: Apocalypse and Suicide Squad so similar? Apocalypse, like Enchantress, was this ancient Big Bad that was extremely overpowered and used to being worshipped as a God. Both were trying to construct something that caused massive destruction around the world. Was it half-off script day at Starbucks? The similarities made me wonder whether this was the reason for the obvious editing mess that was Suicide Squad’s end result. I’m sure we’ll never know, but it is irritating because Suicide Squad had sooooo much material from which to draw. Anyways, the movie goes downhill into complete drivel and silliness that isn’t worth recounting. The one upshot was Enchantress doing the drunk/crackhead shimmy while trying to conjure her magic. Cara should be angry about the role she was given. Why did a witch found somewhere in South America have a British accent? This has got to be the downside of being beautiful. Nobody takes you seriously. Everything you do is just great (including looking like the little girl from The Ring). But, then again, you get a role in a major movie, so I guess it’s a wash. This might be the most diverse marquee of any big budget movie. That makes the clusterf*ck that this film turned into all the more sad. Let’s imagine what could have been: one focused backstory with other supporting players (probably should have been Amanda Waller’s story), no Joker, and a better villain. Hey, they could even bring Slipknot back in the retconned sequel! And, maybe, they’ll do better with Killer Croc. Yeah, I know I said I would come back to him. How you gon’ do Adebesi from Oz dirty like that, David Ayer? He’s an excellent actor. It probably would’ve been better if they just didn’t have him speak. His one intelligible utterance was about getting BET in his cell in order to watch what appears to be the long defunct BET Uncut. My eyes rolled so hard that they nearly fell out of my head. I guess David Ayer figured that there were so many black characters in the movie that it was fine to make Killer Croc one massive and continuous stereotype. I can’t call it. **1/2 Stars. I have the feeling a better movie exists in the deleted scenes. The movie is still going to make a ton of money, but DC can still hold this L.
* Yes, I totally forgot that Monster T was the first to die, Jason. Fight me. Truth, y’all are going to have to follow me on this one. 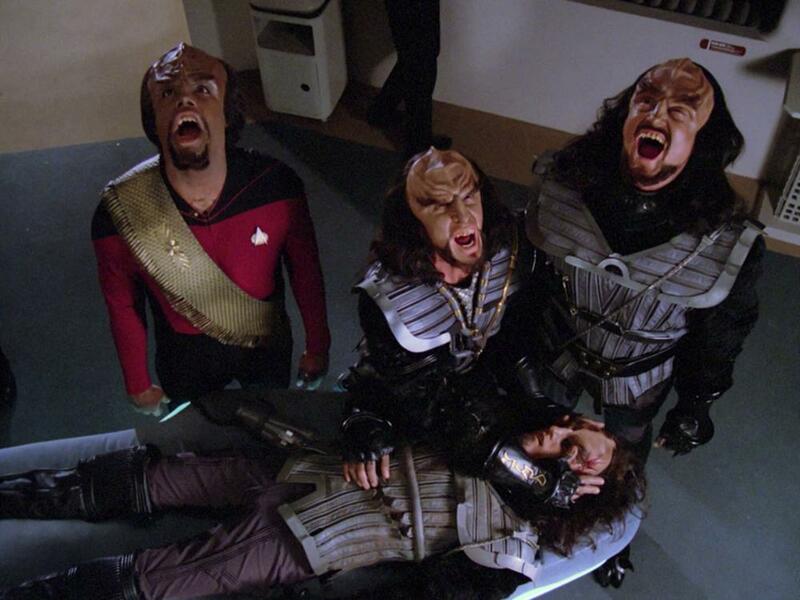 Star Trek and Wu Tang go back like Bugs Bunny and Daffy Duck. I would bet you $20 that any black trekkie you meet is also a Wu Tang fan. And, if you asked them to explain why, they couldn’t. Why? Because Wu Tang is for the children (RIP ODB)! There’s an other-ness, slightly esoteric, to enjoying both and, as such, you earn a certain geek cred when you bring them up. Truth, I’ve been waiting to find the guy who likes both on his own and, when I do, we’ll probably hit Vegas. 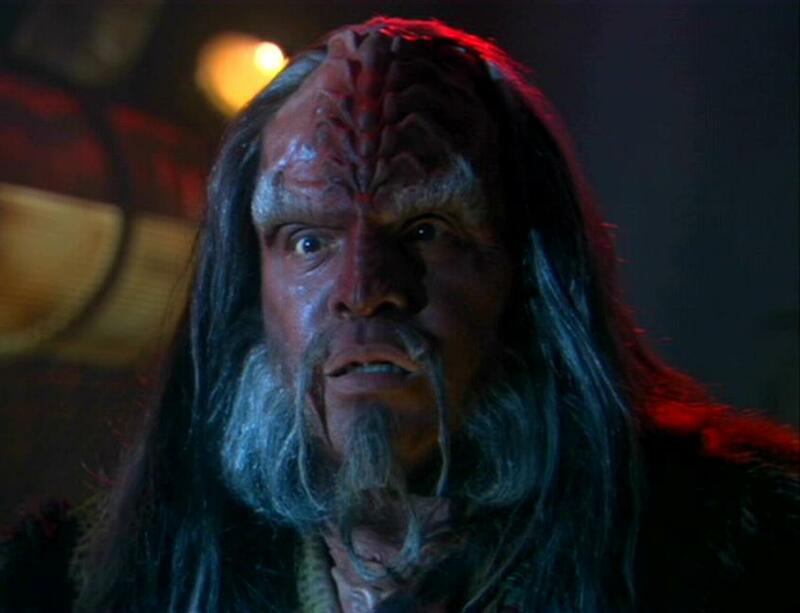 I hear they do Klingon weddings at a little chapel out there. Anyways, this brings me to Drake. It started with Macklemore mentioning Wu in a song, all good, white boy can rap. But, then, Drake comes out with “Wu Tang Forever” and my brow instantly furrowed. I like Drake, but he’s not exactly known for spitting hot fire, right? Exactly. It’s a song out of my nightmares. How did he even get the “It’s Yours” sample cleared? Rza, WTF??? The song is about creeping with a girl who already has a man and Drake is SINGING! Don’t use the Wu to prove you’re cool. I fully expect there will be some Star Trek name drops soon enough. I guess there’s no such thing as bad publicity, right? Am I wrong? How true is this?!? Gene Roddenberry may have been a time traveler. Teehee! What does your future hold for you? Relaxing weekend? Tribble invasion? New technology? Chances are, Star Trek did it first!